Tell me something about your self or run me through your resume is the most important job interview question asked in any job Interview. Most candidates fail to answer this common job interview question and fail or get rejected in a job interview. 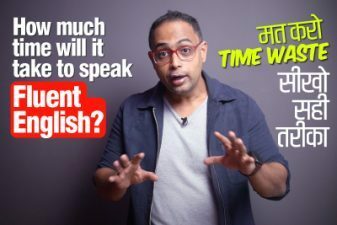 In this English lesson through Hindi with Aakash, you will learn how to answer this common Interview question with a 3 point formula along with some sample job interview answers for freshers and experienced interview candidates. Use this formula to frame your interview answers and be confident in a job interview. In this job interview training video Aakash has shown you How to speak correctly while answering this question and some useful tips for success in a job Interview. Also learn the dos and dont’s for a job interview, how you should sit, what you should do with your resume, should you talk about your family and hobbies etc. This Job interview training video is extremely useful to succeed in a job interview and grab your dream job. Understand the sample answers and use it as an template to make your own answers. Why is this question asked ? 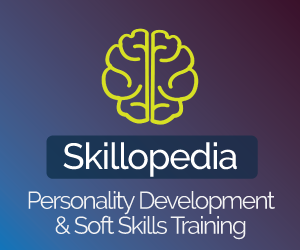 1 – Start with a 1 sentence introduction summarising who you are. Eg – I am a java programmer with 7 years expertence, specialiseing in Gaming app development. – have recently completed my graduation in commerce. I recently graduated in computer engineering. 2- Say 3-5 sentences about your achievements. These sentences should show why you are a good fit for the job. This is where you impress the interviewer with your answer. eg – As an ESL trainer, I specialise in teaching Business English to corporate executives and professionals. I have trained many executives form MNC’s and many companies have become my repeat clients. I also train newly recruited trainers to deliver better lectures in their classrooms. 3 – So Why do you want this job??? Eg. I am quite happy with my current job, but I am looking for a more productive role that suit my skills and ability to grow further. I am a quick learner and ready to take new challenges required to perform better. eg – I am very particular about my schedule and always manage my time efficiently so as to fit everything without any overlaps. I am a bachelor and I am willing to take any kind of opportunity in your company that would allow my skills to grow. 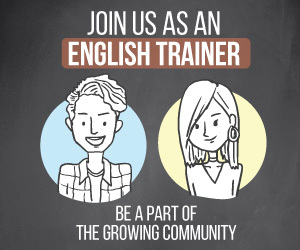 I am an English trainer and a Business English coach with 7 years of experience in the ESL industry. I specialise in teaching Business English to corporate executives and professionals. I have trained many executives form MNC’s and many companies have become my repeat clients. I also train newly recruited trainers to deliver better lectures in their classrooms. I am quite happy with my current job, but I am looking for a more productive role that suit my skills and ability to grow further. I am a quick learner and ready to take new challenges required to perform better. Ask if you don’t understand anything.